It’s a daunting task, choosing your first electric guitar. 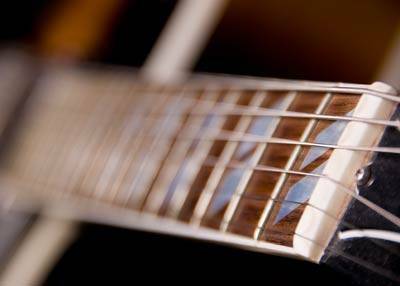 There are so many different factors and so much hype surrounding the selection of a guitar. The choice of a guitar is an intensely personal thing involving the sound in your head and the feel in your chest and fingers. When you are first making the jump to electric guitar you feel like a fish out of water anyway, and it is hard to get your feet on the ground. Adding to the confusion is the fact that a guitar can seem to have a personal "body image" sort of gestalt, seeming to ally you with genres and artists. Any one of these can draw you astray into a bad choice. The waters are fraught with partisan sharks and salesmen who are always ready to tell you that there’s only one guitar you should own. Then there’s the business of, “I want to sound like _________.” I really can’t address every artist and style in one article so let’s try to leave that all behind and give you a framework or decision tree to allow you to pick your first guitar based around playing comfort and the sound in your head. I’m going to limit our search to four or five classic guitar types to make things simpler for a new guy. You can always bury yourself in details, but let’s deal with the core of the matter. Once you get your first guitar and get a handle on what it is capable of you can move on from there. The questions you'll need to ask are: How much sustain do I want? Do I prefer very clean sounds or more distortion? How bright do I want the sound? What feel (scale length) do I want? In my experience, the basic popular guitar types are: Gibson Les Paul, Gibson ES-335, Fender Telecaster, Fender Stratocaster. Sustain: The bottom line is that the Gibsons (Les Paul and ES-335) have both more sustain and a shorter distance between the peak loudness of their attack and the sustain phase in their sound. Generally, if you want to equal the sustain of a Gibson in a Fender, you have to generate it with a compressor and/or a distortion pedal and invest the money and time learn how to make that happen. David Gilmour has gone that route with an elaborate board and sound chain to get Les Paul-like sustain out of his Strats, and the result is very pretty. Clean versus dirty: Most of the classic, bright sounds in country and rock have come from Fenders. You'd have to invest the same money and learning to get a bright sound from a Gibson unless you go with a Gibson with a P-90 single coil pickup array. Even then, the Fender Strat offers two sounds (position 2 and 4 on the Strat's pickup selector switch) that you simply can't get off a standard Gibson. Nevertheless, David Gilmour uses '50s Les Pauls with P-90s for his thicker clean sounds such as the lead from "Another Brick in the Wall Pt.2." Humbuckers tend to have higher gain and thus make it easier to push an amp into distortion. Once you are working in distortion, you'll find that the humbuckers' reduced high end makes for better control of the overtones generated by distortion. You can get some of the same control with a Tele by backing down on the tone control. 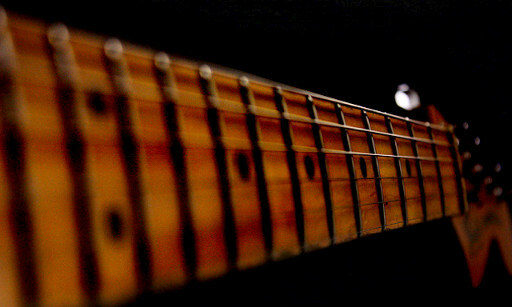 Humbuckers also reject more electrical interference, making their background noise much lower. Sound: Single coil pickups yield an entire octave of overtones that are filtered out by humbuckers. Single-coil pickups are also typically less compressed (hence the business of more distance between the attack and sustain phases). They also "excite" effects such as phasers and flangers more, giving a richer sound. The exchange is that humbuckers are far less noisy and Gibson’s four-knob control system lets you continuously blend between the two pickups. Feel: There is a marked difference between Fender's and Gibson's scale lengths of 25.5” and 24.75” respectively. If you bend strings, there is a continuum of perceived string tension that runs from the softer-feeling hard-tail Gibson-scale guitars through vibrato-tailed Gibson-scale guitas through hard-tailed Fender-scale guitars to the hardest-feeling vibrato-tailed Fender-scale guitars. You need to decide which location on that continuum is more comfortable for you to execute electric guitar techniques. It is a very personal choice that no-one can make for you. No popular artist can tell you what feels good to you, either. Pay attention to the shape of the necks and binding or lack of it. First Moves: And now the nasty little secret the partisans don't want to admit: The Tele and Les Paul are remarkably similar in many ways, though completely different at the same time. In the standard configuration, both are dual pickup guitars with a three-way selector and a hard tailpiece. It’s horribly straightforward: There's the guitar, there's the three-way selector, there's the player. Simple and uncomplicated. Comparing them will probably tell you everything you need to know about which initial direction to take. Tele backers want to say that the Tele is an "honest" guitar that is impossible to hide behind, but really, they both are, and brutally so. Compare them. Play them with the volumes all the way up. Get someone to show you a good amp that can give both clean and dirty sounds and try the guitars with both. Get a distorted sound and try backing off the volume control to see how they clean up. If you come away saying the Les Paul is too dark and not dynamic enough and the strings are too flexible feeling, you probably are getting indications that you want to play a Fender. Now compare the Tele to a Strat with a Fender vibrato tailpiece. With the Strat you get two more sounds and the ability to easily wobble a whole chord with the tailpiece... but, bending is much harder because the tailpiece sags as you bend. Also, on dual-stops where you bend one note and sound both it and another un-bent one, the tailpiece sag makes the un-bent note go flat so youh have to bend both strings and at different rates. If you come away saying the Tele is too bright and twangy, the strings feel too stiff, and there isn't enough sustain, you probably want a Gibson. More below under "The Semi-Hollow Angle." 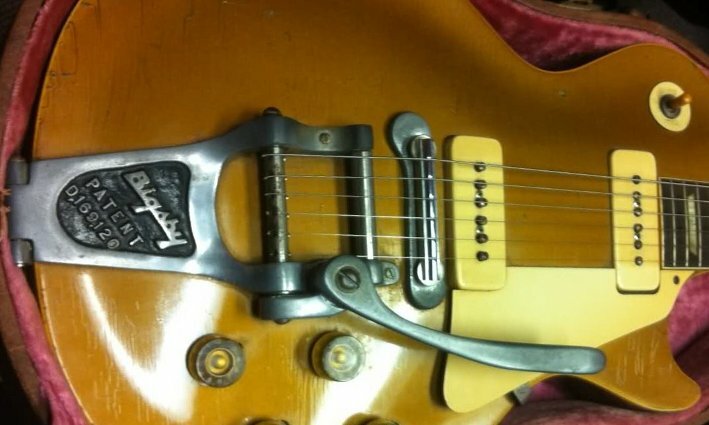 By the way, the "Vibramate" system allows you to mount a Bigsby to a Gibson without drilling holes or leaving marks. If you like bits of both and can't make up your mind, you are like many of us who like both sounds and feels and need both. You are also are in for a financial hit. Rats. Start planning your little family or look into the PRS and Carvin 25" middle-scale guitars. The Semi-Hollow Angle: Once you have a basic handle on which way to go, you need to compare solid guitars to semi-hollow guitars. If you are headed towards a Les Paul, try an ES-335 to see the difference the semi-hollow body makes. It adds certain overtones and a certain airiness to the sound. The same is true for the Tele and the semi-hollow Tele Deluxe. Be aware that there are two different versions of the Tele Deluxe, one with single coil pickps and the other with humbuckers. The difference is what you will, by now, expect. Also be aware that at high stage volume levels the semi-hollow guitars are more prone to feedback, so you’ll eventually have to learn to control that. There are shades of in-between out there as the manufacturers try to cover all bases. There are humbucker- and P-90-equipped Teles and humbucker-equipped Strats if you are dedicated to that scale but want something darker. There are mahogany bodied Les Paul Specials with P-90s and Gibson SGs if you are dedicated to that scale but want something brighter. There are also Les Paul-styled guitars with “coil-splitter” switches that essentially turn the humbuckers into single coil pickups. And, of course, there is the very popular Bigsby vibrato tailpiece (pictured above) that can be mounted to just about any guitar, including a Les Paul. Folks mistake the fact that a Tele feels more like an acoustic for it being superior. It really comes down to the sound you want to make and the feel you need in order to create ELECTRIC GUITAR sounds. Some techniques are different between the two styles. Don't be surprised if you find that you have a more comfortable scale length that carries over to the electric, but don't limit yourself by that. For acoustic fingerstyle I find that I prefer 25.5" Fender scale but play both. For electric lead with bending, I prefer 24.75" Gibson scale but play both. For electric rhythm, I'm extremely comfortable with everything from 24.75" to 25.5". The guitar is probably 50% of the sound in a fully-developed electric rig. There are professional players who have settled into one or the other guitar type and are only comfortable getting their sound from that type. There are others who navigate the two types fluidly. Clearly, you will probably want to alter your approach to getting a sound between the two. Vibrato tailpieces: There’s no better way to gently wobble a chord. Because it wobbles both above and below the fretted note, vibrato from a tailpiece sounds different from string bending vibrato, which always bends upwards. Also notice that when you bend the strings on a guitar with a floating vibrato, the tailpiece “gives” a little so you have to bend further to get the same amount of pitch change. That’s something to be aware of. Some players “block” the tailpiece with a shim of wood so that it doesn’t do this and the strings feel more solid. Also note that bending a string upwards on a "floating" vibrato system causes the rest of the strings to drop in pitch so you'll have to adjust your techniqe if you incorporate bends and fretted notes on other strings. I tend to use a vibrato-equipped guitar when I want that lovely shimmery wobble sound on rhythm and move back to a solid tailpiece when I’ve got a pile of bending to do for a solo. The vibrato tailpiece also yields a different sound from the solid stop tailpieces. 1. Artists change guitars over time. Clapton went from Gibson to Fender. Duane Allman went from Fender to Gibson! 2. The guitar community changes popular styles over time. I've survived through five or six major style shifts in my forty-some-odd years of playing. We are talking the "in crowd" playing Fender then Gibson then Rickenbaker then pointy guitars then Gibson then semi-hollow custom guitars, etc. As an average joe, I've found that just pursuing the sounds in my head took enough of my time without trying to chase the current fad. You'll have to figure out that one for yourself as well. Have fun with the challenge of the choice!